From April 3rd 2018, Brixton Hill Group Practice will be piloting a new appointments system in order to improve appointment availability for our patients. With increasing demand, and high non-attendance for pre-booked appointments we will be offering appointments on the day of request only. We would encourage you to book online where possible, or call early in the morning to book a consultation with the doctor who will then call you back, and can then arrange for you to be seen the same day if necessary. We recognise it has become increasingly difficult to book a GP appointment with increasing NHS pressures. Our aim is to help patients get appointments when they need them and to speak to a doctor on the day and avoid long waits to see their GP. For those who are unable to use a telephone, e.g. hearing or language problems please attend the practice to book your appointment with a doctor as you would normally do. There will be no change to the way we book nurse appointments. We will still run our commuter clinic from 0700-0900 and 1830-2000 on Tuesdays to help people who work attend their GP. 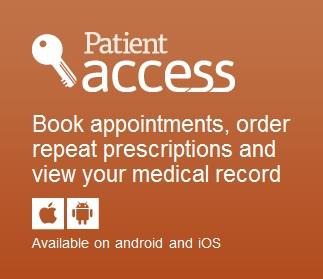 These can be booked if available when the doctor calls you back on any day. Please ask your doctor if one of these appointments would be helpful for you. Locally other practices that have adopted this system have much-improved access rates to see their GP, and we hope that you will find this change is helpful as well. If you are suddenly taken ill and cannot wait until the next available routine appointment, please phone the surgery during opening hours and explain your situation to the receptionist who will advise you of the best type of appointment dependent upon your circumstances. It is best to do this in the morning so we can find the time to accommodate your request. If the emergency occurs when we are closed and you need to speak to a GP, please call the out of hours service SELDOC on 0208 6939066. A chaperone is a trained member of staff who can accompany a patient as an impartial observer into their consultation. They can provide emotional comfort and reassurance and can provide e support if an examination is required. - your GP has suggested a chaperone accompany you. If you would like a chaperone, please ask at reception when you check-in for your appointment.